New fence. Covered patio. Expanded bathroom. Painted kitchen cabinets. They all cost about $3,000 (give or take a couple bucks). So when you want to renovate everything, how do you chose? What comes first, and what shouldn't you bother with at all? It's all so confusing. That's the conundrum many people face when they go to renovate, or they're simply trying to make a plan of action that doesn't include having to sell their house because they've gone broke fixing it up. Moving forward can be tricky, and the renovation process can be anxiety-producing. Taking the time to properly research, set your budget, and determine the return on investment of individual projects - if that's even important to you - are the keys to success. Follow these tips before you swing that hammer. 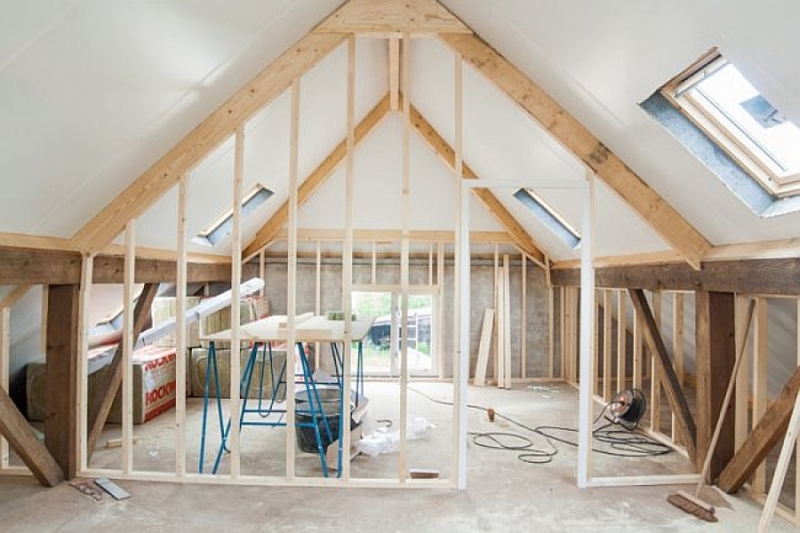 "It is vital that you know the objective of the renovation before you start as this will help you keep on track and make the appropriate decisions once the work has started," said Your Investment Property. "The objective may be any one of the following: increase rental return; improve capital value; own enjoyment; keep up with the next door neighbors; provide an income when property is flipped (ie: purchased, renovated and then sold in a short period of time); or something else that is important to you." This one can be hard when what you really want is a top-to-bottom overhaul, and it may require you to have a few tough conversations with yourself. You may love the idea of a covered patio, but will you get real use out of it? If you're a person who doesn't much like to go outside (or if the covered patio would only be the beginning of the expense because you'll now need to add an outdoor fan and a heater and drapes and mosquito netting and new outdoor furniture and a waterproof television once you have the patio cover), perhaps your dollars are better spent elsewhere. When you have limited funds, taking care of renovations on items that are more frequently used, or that you can at least look at and appreciate on a more regular basis, might be a better bet. About that budget…some renovations obviously cost more than others. And some might be more important to you than others. Some of us have instant gratification issues (umm, guilty!). Perhaps it would be best to knock out a few small items that will make you feel good about your progress. Or, perhaps what you really need is a couple months of serious money-saving so you can put in those countertops you've been dreaming of. You might be able to slash your hard costs by finding a skilled handyman to do your flooring installation instead of going with a flooring company. Or, you may be able to take advantage of a special from a big box store that cuts down on costs, like free carpet installation at Home Depot - a special they are currently offering. Signing up for daily emails from Home Depot and Lowes is another way to take advantage of limited-time specials that can save you money. Both have "Daily Deals" they send out in their emails, which are good for that day (and until they're all sold out) only. If you can't rule out one or the other based on how much use you think you'll get from the areas you're looking to renovate, look at the potential value. One might provide a much better return on investment than the other. The Cost vs. Value Report, which "compares average cost for 21 popular remodeling projects in 149 markets with the value those projects retain at resale in 100 U.S. markets," is our Bible when it comes to determining ROI. You might have a lot of "wants" related to renovating, like updating your master bath and re-facing your fireplace. But there may be more pressing issues that need to be addressed before you get to the pretty stuff. "Hire a licensed home inspector to check your house from top to bottom," said Home Guides. "He'll climb into the attic to check for dampness, scour the basement looking for leaks, test the heating and air conditioning systems, examine the roof, the plumbing and electrical panels. Evaluate the results before deciding on a plan of action. New appliances and items like new doors and windows can have a significant upfront cost, but they will save you money on a regular basis because they're energy-efficient.